Saw a clip of RDR2 from a spoiler free leak. The gameplay looks better than anything Rockstar has shown. This is unbelievable. Is it Friday yet? YO! HUGE RDR2 LEAKS ARE AWESOMEEE! While most of the pictures of the map leak is an in-game photo, website Rockstar Intel has a photo of the full map from the guidebook. 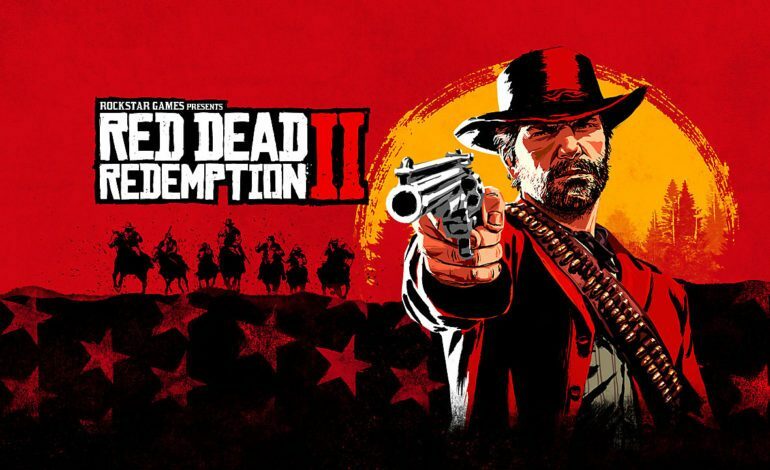 Similar to past Rockstar games, it seems that the map will become clearer as you travel, lifting the “fog” of the surrounding area the player travels. These leaks are just another thing to add to the chaotic news cycle that has happened leading up to the game’s release. Recently it was revealed that certain independent stores are getting delayed copies of the game. Before that, there was the whirlwind of news that stemmed from the interview that Dan Houser gave, such as mentioning working 100 hours a week and how Rockstar is treating women differently in this game than past titles. Rockstar Games also provided a look at some of the 30 days early access content that PlayStation 4 owners will have a chance to obtain. They can get the Grizzlies Outlaw Outfit, Red Chestnut Arabian Horse, Alligator Skin Ranch Cutter Saddle, and High Roller Double Action Revolver, as well as even more content to come in Red Dead Online. All of the content spelled out will be available day one in Red Dead Online when it launches in November.